Fast food chains and mass market restaurants can provide insightful indications on the global economy, its strengths and weaknesses. To that end, one of the most insightful companies reported Wednesday night. The owner of well-known franchises KFC, Pizza Hut and Taco Bell, Yum! Brands (YUM_), announced mixed second-quarter numbers, disappointing market expectations. As a result, on Thursday shares were down nearly 6% at midday. What does this tell us about the global investment environment? Yum! Brands is listed in the U.S. However, it is its China division, with more than 6,000 restaurants, that made more money than any other division in any other part of the world. There is a clear advantage in growing within a country that enjoys a 7-plus economic expansion when other western countries have an economic growth under 2%. In China, Yum! reported a 15% same-stores sales rise, which compares nicely with a 3% decline at the ex-China Pizza Hut division or with the 2% sales increase at the ex-China Taco Bell and KFC division over the same period. Does this suggest you should buy companies with China exposure? Hold on a second. For Yum! Brands, comparisons with a year ago were easy. In 2013, same-store sales were down 20% after some food hygiene scandals reported by the Chinese media kept consumers away. China is a good growth market, but it is not a flawless market. How about elsewhere in the world? Apart from Taco Bell, Yum! Brands are not seeing any same-store sales growth in the United States. Consumers are still cautious in their spending and held back by concerns for their health and by the high level of competition. Pizza Hut,which seems the worst impacted, is considering improving its offering. Its results are largely boosted by the emerging countries. 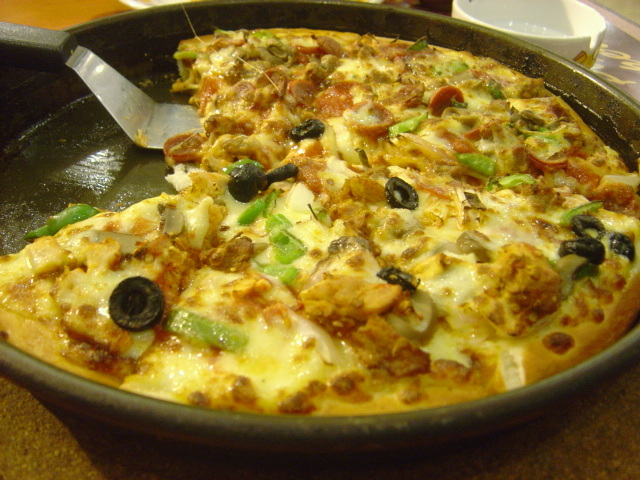 Pizza Hut, a new division that includes all Pizza Hut results outside China and India, saw a 2% decline in the U.S., but a 4% increase in emerging markets. The same is true at KFC. So does this suggest one should buy companies with emerging market exposure? Judging by the Yum! Brands results, this seems a reasonable call — at least for the products that the company is offering. What could go wrong? One aspect to worry about is down in the company’s earnings release: Second-quarter “food and paper” costs rose by 10% year on year. That matched the global revenue growth for the whole company. Operating profit went up, thanks to better cost control elsewhere in the business. In short, the company managed to absorb input cost rises. So where does this leave us? Emerging markets are probably offering more growth than developed markets like the U.S. — but watch for individual country issues and challenges. In addition, keep an eye on a company’s ability to offset cost increases. Yum! Brands managed to do this to its credit — even if it failed to hit the market’s expectations. Even companies with good growth opportunities have hurdles to overcome. It is not easy out there. That’s the fast food message from Yum! Brands.